Art Park was an important development site for emerging earth artists of the 1970's. Located on reclaimed land next to the Niagara River, near Lewiston, New York, the 200-acre state park had a well supported artist-in-residence program that began in 1974. The program was initiated a year after Smithson's death by one of his longtime friends and supporters and it was with his spirit in mind that this outdoor art program on former industrial land was conceived. While some artists like Nancy Holt and Laurie Anderson preferred to work more closely to the dramatic landscape of the gorge at the south end of the property, the plateau area was used by numerous artists, including Alice Aycock, Alan Sonfist, and Dennis Oppenheim. 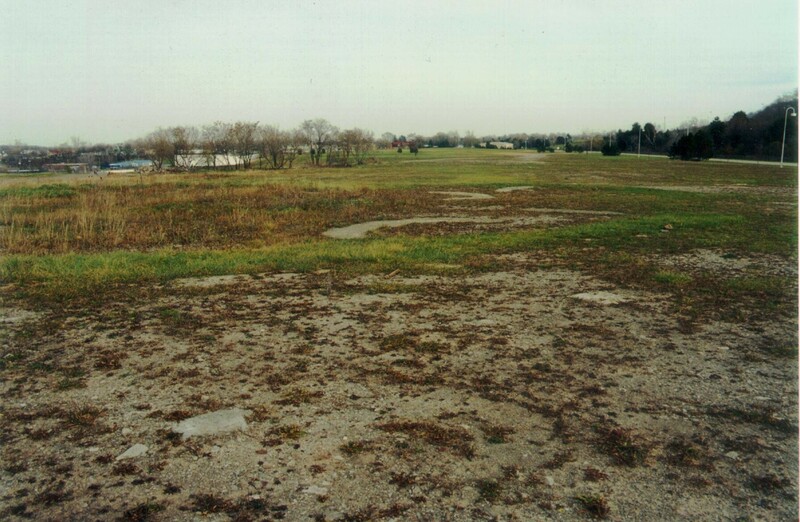 The surface of the plateau, a former industrial spoils pile, was created as a sort of land art project itself, further filled in by Helen and Newton Harrison as part of their "Art Park Spoils Pile Reclamation" project. Most works were temporary, however, and the plateau is studded with the vestiges of removed and filled in artworks: bits of concrete, cable, rebar, and crushed stone, a veritable land art proving ground.